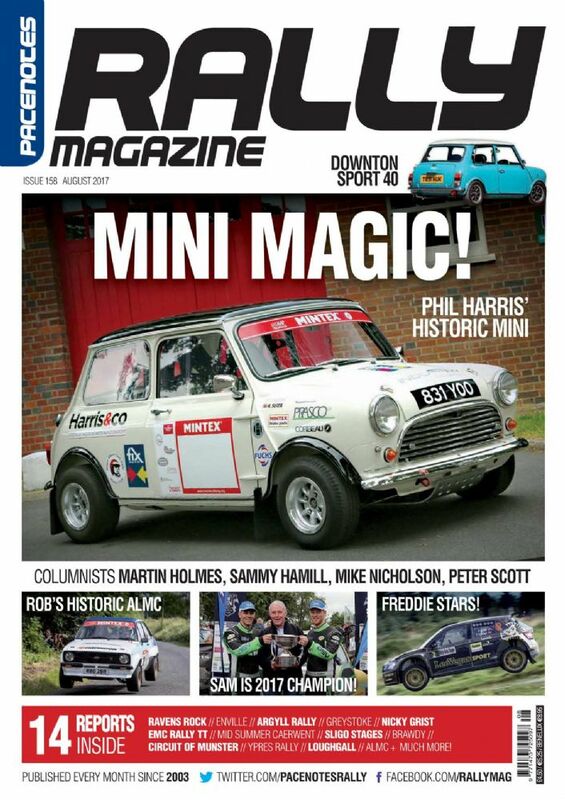 Pacenotes rally magazine have been in touch with the club letting with news on what they are up to, so here is a preview of the August issue which is currently on sale and features Phil Harris' stunning Category 1 Historic Mini on the cover. In fact, there is a bit of a Mini theme going on this month - there is also featured a Downton Sport 40 Mini, a very exclusive car which is number one of five, and also a feature with 'Mini Girls' Louise Thomas and Emily Easton-Page. Inside the magazine you can find almost 70 pages dedicated to stage rallying in the UK, Ireland and beyond. The magazine covers everything from Clubman events through to the WRC. There are also special features from the likes of renowned journalist Martin Holmes and interesting columns by Sammy Hamill, Mike Nicholson and Peter Scott.